3185 is one of two BR generator vans owned by the RPSI. Originally numbered 34093, she was built by British Railways at their Derby works in 1952 (only five years after locomotive No.4 was constructed at the same location) as a Brake Second Corrirdor (BSK) to their ubiquitous Mk1 coach design. As built her interior would have had four compartments (seating six passengers each), with the remaining area being given over to the guard and parcels. She was originally allocated to BR's midland region - for the first two decades of her life she would no doubt been hauled by a variety of ex-LMS and BR steam locomotives, not to mention early BR diesels. 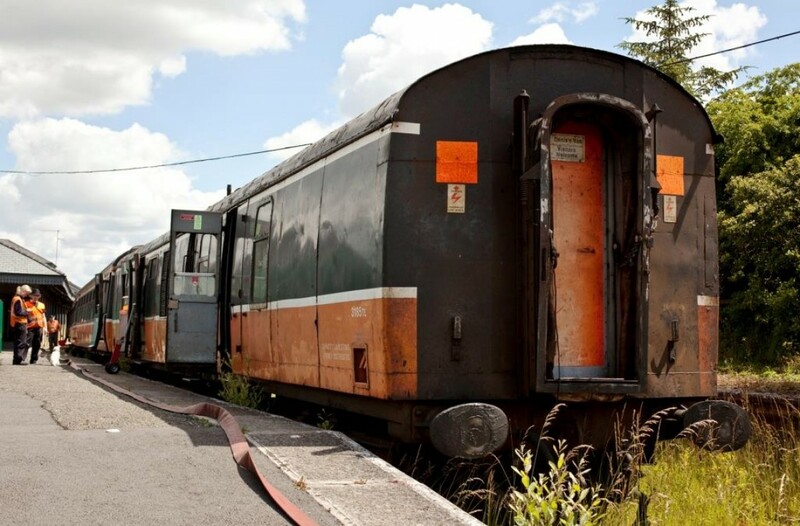 In the early 1970s CIÉ ordered 22 steam heating and generator vans from British Rail Engineering Limited (BREL), on the back of their Mk2d coaching stock order. This would allow older Inchicore built 4-wheel vans from the 1950s to be withdrawn. The decision to choose BREL over Dundalk based S&S Engineering or Inchicore proved controversial enough to become the subject of debate in the Dáil at the time; the Dundalk firm had a previous batch of generator vans in the late 1960s, two of which are preserved at our Whitehead base. 34093 was one of twenty-two ex-BR Mk1 vehicles selected for conversion. This job was undertaken at Derby works in 1971 and in the process the vans were fitted with a boiler, generator and a water tank at each end. To cope with the increased weight, the carriages received B5 type bogies, a heavy duty version of the successful B4 design (which can be found on our Cravens and Mk2 coaching stock). They were shipped to Ireland in 1972 in grey undercoat. CIÉ renumbered them in the series 3171-3192; 34093 became 3185. The vans were not long delivered when an industrial dispute arose in the ESB. The innovative solution was taken to use the vans to provide power for electric signalling - 3185 was stabled at Fairview railcar depot for this purpose (in her case completely painted, most were still in partial undercoat). 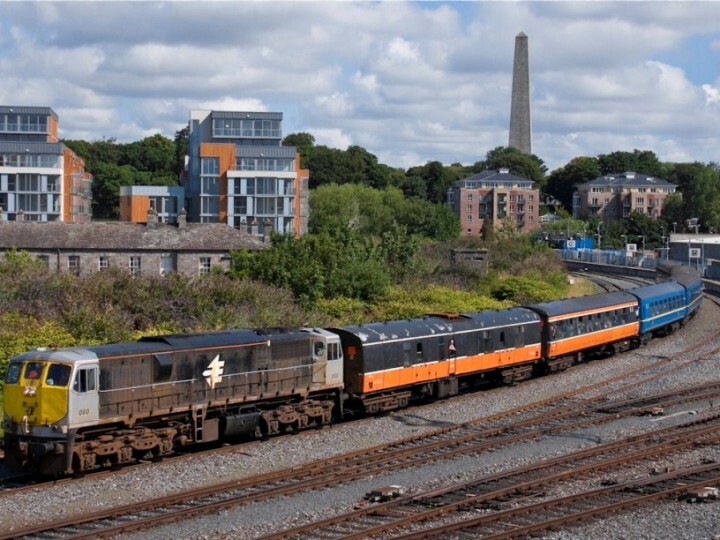 After this they settled into a more mundane lifestyle, providing heat and electrical supply to CIÉ's vast coaching fleet, operating everything from Cork expresses to mail trains, including a plethora of coach designs including Park Royals, Laminates, Cravens, and TPOs, to name but a few. As might be expected, they became known as 'BR' vans, for reasons that should be by now apparent! A small number were withdrawn in the mid-1990s but most held sway until 2006, providing heat for the Cravens fleet alongside the Dundalk built 'Dutch' vans referred to earlier. Alongside the Cravens, their later years were spent on secondary and branch line duties, along with Friday-Only auxiliary services and GAA specials. The latter often required the use 12 Cravens. In such instances two vans were used, one at each end, with half of the Cravens powered from one van and remainder from the second; while physically coupled, there were on two separate circuits electrically - a continuous power line with a live van at each end would not be recommended! As the Cravens fleet was gradually withdrawn by IÉ over the course of 2006, so too were the BR vans. 3185, allegedly one of the better examples, survived until the very end. Her last heating duty in IÉ ownership was actually while hired to the RPSI on that year's Santa trains! In 2007 she passed into our care, along with 3173, and entered RPSI service on the December 2007 Santa specials. In the spring of 2008 one end was fitted out to provide support crew accommodation, with seating recovered from withdrawn Cravens stock, along with wash-up facilities. The other end provides a quite useful storage area for watering hoses and other equipment. Though rather worn on the outside, she has given good service ever since, and with the impending return to service of 3173 she can be retired for a well-deserved overhaul. 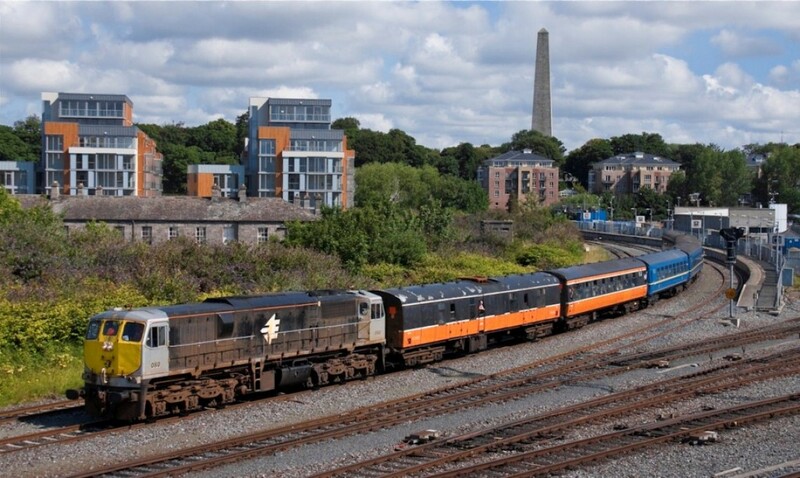 With the demise of vacuum brake-vans on the IÉ system, she has proved useful outside of passenger trains, and has been used as a brake vehicle when using diesels to transfer steam locomotives in the Dublin area. Incidentally, while similar to 3173 she is not entirely identical. The most notable difference is that 3185's guard box is located towards the centre of the carriage; 3173's is towards the end of the vehicle.